David Schectman, Bill Holter and I have been writing of the virtues of physical gold and silver ownership for a very, very long time. In my case, it started in May 2002, when as an oilfield service equity analyst at Salomon Smith Barney, I began to suspect something wrong with the world. The “tech wreck” was only starting to wreak havoc on the global economy and almost overnight, I realized the path of least resistance for the dollar was down. A year or so later, I came across the good people at GATA – Bill Holter among them; and aside from having put my entire liquid net worth into the sector, joined Bill in writing nearly daily for the GATA website – for FREE – of why people need to PROTECT themselves from the inevitable hyperinflation. 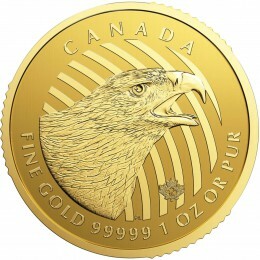 At the time, gold and silver were trading at $300/oz. and $4.50/oz., respectively. However, given the insane amount of global money printing since, PMs are far more undervalued today at $1,350/oz. and $21.50/oz. From 2003 until 2010, I was published pretty much exclusively on the GATA website; as was Bill, from what I recall. 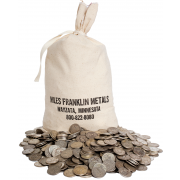 Over that period, nearly my entire Precious Metals portfolio consisted of mining shares; and thus, I was not aware of Miles Franklin – or, frankly, any bullion dealers. But then, in the Fall of 2008 – when I first realized the global economic situation was vastly worse than initially anticipated, I started selling mining shares in earnest; slowly but surely, converting the funds to PHYSICAL gold and silver. At that time, I shifted my “end game” view from simply a decline in the dollar, to that of an unmitigated global currency collapse; and thus, my fear of all things paper commenced. By the Spring of 2011, my portfolio had become 100% physical metal a position I anticipate holding until the global financial system “resets” – which frankly, could occur now – or many years from now. By then, my knowledge of the alternative media “shadow world” had greatly expanded, and David Schectman came onto my radar screen. He, too, spoke of the need to protect one’s assets from inflation; and as it turns out, had been doing so long before the PM bull market commenced. This is why Miles Franklin had become a leading U.S. bullion dealer, and why it is now celebrating its 25th anniversary in business. In fact, we are kicking off our 25th anniversary celebration today; so be prepared for articles and promotions (such as the ones we are launching today); while, of course, remaining undaunted in our ongoing goal of providing industry-leading customer service and competitive pricing. I joined Miles Franklin in October 2011, and Bill shortly thereafter. Since then, the three of us have been spreading our words daily; not just in print, but podcasts, conferences, webinars, and any other mediums we can find. But I digress, as the point I am trying to make – before diving deeper into the Ukraine situation – is that David, Bill, and I have been writing for a long, long time about Precious Metals and have been spot on with our analysis. In fact, if anything, the global economic situation has deteriorated more than we could have imagined; with the only “mitigating factor” being the ferocity – and blatancy – of TPTB’s attempts to suppress prices as their 43-year fiat currency Ponzi scheme reaches its terminal stages. This is why we have so vehemently focused on PHYSICAL gold and silver ownership – as opposed to “Paper PM Investments” – as no matter how vigorously the Cartel naked shorts COMEX futures, ETFs (like GLD and SLV), closed-end bullion funds and mining shares, they cannot pry coins from one’s hands once paid for. Eventually, global wealth will be viewed in terms of ounces – as opposed to the “dollar price” of such assets and when it does, you will thank your lucky stars – and hopefully, the Miles Franklin Blog – that you are holding them. That said, the title of today’s article is “This Is Why We Do What We Do”; of which, of course, I am referring to the unfolding horror in the Crimean peninsula. TPTB are doing their best to calm investors with the same, typical mix of money printing, market manipulation and propaganda – particularly in the PM markets, where they are desperately trying to cap this morning’s surges, and the “Dow Jones Propaganda Average”; which, as usual, is down far less than every other market on the planet thanks to the PPT. 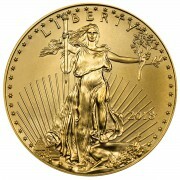 At least, as of 10:45 AM EST, an hour after the open of U.S. markets; at which point, gold is up $29/oz., to $1,353/oz. 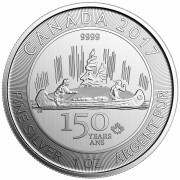 ; silver is up $0.45/oz. to $21.65/oz; and the Dow down (you can’t make this stuff up) exactly the 1.0% “PPT ultimate limit down” level, compared to declines of 2% to 3% for most other equity markets. Oil has started the day up roughly 2% – to new multi-month highs – while the dollar index is roughly flat near multi-month lows; and oh yeah, the Russian Ruble and equity markets are crashing. In fact, following Brazil’s lead on Friday – given the accelerating decline of emerging market currencies worldwide – the Russian central bank was forced to announce an emergency 150 basis point rate increase this morning; which still has not prevented the Ruble from plunging to an all-time low. Yes, the Ruble is lower than at the apex of the 2008 crisis, and even the 1998 Russian debt default. Quite an interesting situation, given Russia has low debt, a strong trade surplus and lots of gold. And oh yeah, it’s a net crude exporter; not to mention, the supplier of roughly one-quarter of Europe’s natural gas – of which, roughly one-third is shipped via Ukrainian pipelines. Apparently, the markets are assuming major supply disruptions in the coming months, which is probably why Brent (European) crude oil prices are up far more sharply than WTI (American) crude. As discussed in last week’s “countdown to collapse” – and countless other articles since Fed-exported inflation started wreaking havoc on the global political, economic and social fabric in the Fall of 2011 (not to mention, when the Cartel went hog wild suppressing gold and silver prices), it was only a matter of time before “something gave.” It could have been anywhere; and right now, economic tragedies are unfolding everywhere from Venezuela to Thailand, Argentina, Brazil, Turkey and even France and Italy (FYI, the city of Rome was “bailed out” this weekend). However, it’s the Ukraine where the danger of a global, catastrophic event is now greatest; and given the political ramifications, even World War III cannot be considered out of the question. Economic fires are breaking out everywhere; such as in the Ukraine, where the ‘U.S.-brokered’ truce has broken down in less than 24 hours, yielding mass rioting, soldiers firing on citizens, and collapsing currencies – such as the Olympics-hosting Russian Ruble, which fell this morning to an all-time low. But don’t worry, as Obama – in Syria-like fashion – has warned the Ukrainians not to “cross the line.” Or else…what? We’ll bomb them, too? Or perhaps, in Syria-like fashion, Putin will scare Obama into backing down. I sure hope so; as aside from the astronomic costs involved, the last thing we need is more dead soldiers – and geopolitical enemies. Clearly, the Ukrainian situation – where the President was overthrown, amidst bloody, nationwide riots – is getting the most press; as it should, given the potential dire geopolitical ramifications. The fact that Obama is threatening to invade this obvious Russian ‘sphere of influence,’ whilst the Russian Ruble is plunging to an all-time low, no less – makes the Ukrainian coup a very dangerous situation indeed. Let’s start with what’s going on in the Ukraine, where the odds of a bloody civil war – sucking in superpowers like the U.S. and Russia – increase with each passing day. With Obama openly feuding with Putin, one would think demand for true safe haven assets ought to dramatically increase; but then again, what do we know? In other words, the Miles Franklin Blog is extremely concerned as to what is occurring on the Crimean peninsula; particularly after this weekend’s news that all diplomatic attempts have been futile, resulting in an all-out Russian invasion. In fact, Russia has essentially taken over the Crimea; and given its strategic position – as Russia’s only allied warm water port – it is doubtful Vladimir Putin will ever give it up. Yes, Obama and John Kerry are talking tough – you know, with the usual “red line” and assorted paper tiger threats. However, the powerful Russian machine could care less and frankly, there’s not a chance they could be defeated on their home turf – unless, of course, as Paul Craig Roberts warns in this must hear interview, we decide to go nuclear. And even in such a worst-case scenario, exactly what would that accomplish? Not to mention, how would the world’s financial markets react – to something even close to such a catastrophe? Here at Miles Franklin, we have long preached the only way to ensure financial survival amidst the upcoming, global economic calamity is via the only assets to have ever done so historically. Now, more than ever, the value of real money is starting to be understood; and shortly, don’t be surprised if billions of new “investors” attempt to purchase the scant available supply. The world’s Central banks, faced with the prospect of a collapse that could make 2008 look like a “walk in the park,” not only have no more credibility, but no more “ammo” as well – other than outright, unprecedented money printing. And if widespread WAR accompanies the dying economic landscape, it will only exacerbate such hyper-inflationary actions. Everything from food, to energy, to essentially everything we “need versus want” to survive will soar in price; and thus, if you haven’t hedged such a scenario with physical gold and silver, there will be no way to financially survive. Even before the Ukrainian meltdown, food and energy prices were headed much higher, due to a combination of money printing, droughts and other factors. However, if a “hot war” develops around the Crimea, all bets will be off as along with surging prices, and we may well see critical product shortages as well. In our view, the world is about to learn just how resolute the Russian mindset is; particularly given the strategic brilliance – and Western hatred – of its cold war era President. We have long written of how only one other world leader appeared to hate America as much as Putin – i.e., Hugo Chavez of Venezuela. And now that Chavez is passed – replaced by yet another America-hater, by the way – Putin is the undisputed king of anti-American vengefulness. Make no mistake, the Ukrainian situation is the direst geopolitical threat since 9/11 – in terms of the potential ramifications for U.S. financial, monetary, political, and military policy. Sure, it could end quickly and peacefully; but then again, it more than likely won’t. And given a world already on the precipice of economic collapse, don’t be surprised if “anything and everything” unfolds in the coming months – making 2008 look like but a “pleasant dream.” This is why the Miles Franklin Blog does what it does – day in and day out, for FREE. And thus, if current events cause you to act to protect yourself by buying – and/or storing – Precious Metals, please give us a call at 800-822-8080.